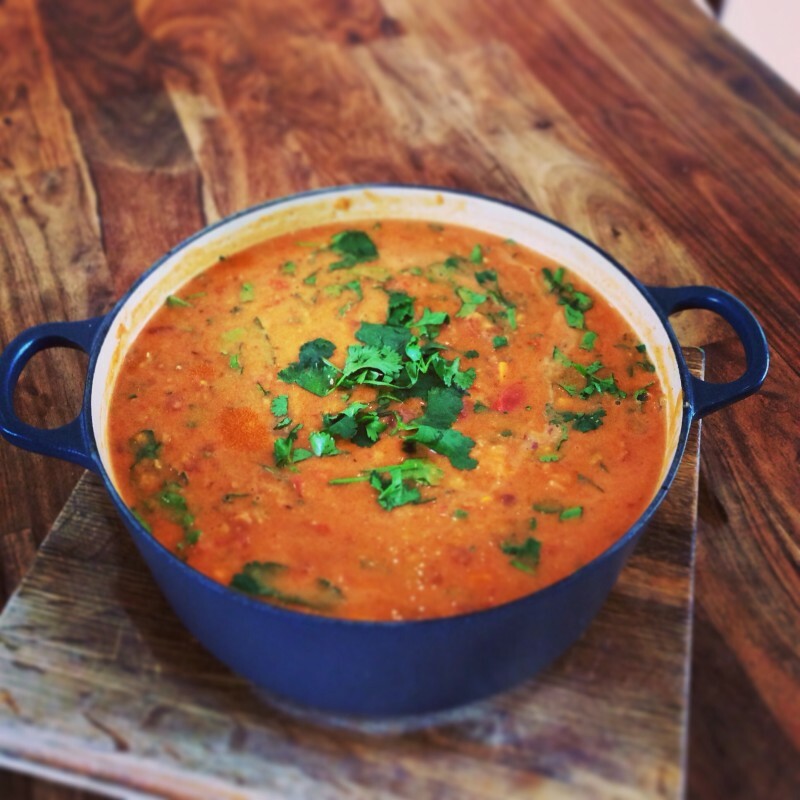 This chilli/thai curry is a wonderful mash up of flavours and went down a treat at our Winter Retreat! It is full of nutritious seasonal veg and packed full of vitamins, minerals and spice! Great for this Winter/Spring transition period as the beans help restore energy to the Kidneys, the bright colours of tomatoes and sweet potatoes help detox our Liver ready for the Spring thaw and the hot spices get the blood flowing, moving energy around the body as we move into the rising energy of Spring time. Enjoy! Preheat a large pot over medium heat. Saute onions and pepper in oil with a pinch of salt, for 5 to 7 minutes. Add garlic and saute a minute more. Add chilli powder, sweet potatoes, lentils, salt and vegetable broth. Cover and bring to a boil. Let it boil for 15 to 20 minutes, stirring occasionally to prevent burning. When lentils are cooked and sweet potatoes are tender, add the remaining ingredients and heat through. Taste for salt and seasoning, top with coriander (and lime) and serve!